Seven year old L.J. is an up and coming boxer in British Columbia. He’s known he wanted to go pro since he was 3 years old. He was born with a digestive track disorder, which can lead to tons of nasty side effects. A treatment required was physical activity to help strengthen his core muscles. 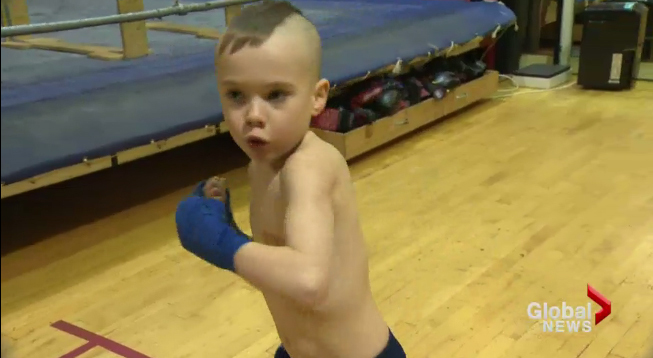 Much respect to the North Burnaby Boxing Club and Dave Robinson in British Columbia for giving this little guy an outlet. Looks like he’s got it!